A range of household products including cleaning agents, paints, perfumes, hairsprays and soaps emit volatile compounds that contribute significantly to air pollution. These compounds react with molecules in air forming particulate matter and ozone, both of which are harmful to human health. Most air pollutants come from the extraction, refining and use of fossil fuels. These pollutants include hundreds of different compounds that scientists clump into what they call Volatile Organic Compounds (VOCs). "Once they're emitted into the atmosphere, they can lead to the formation of ground level ozone and particles, both of which are detrimental to human health," says Jessica Gilman, an atmospheric chemist at the U.S. National Oceanic and Atmospheric Administration (NOAA) and an author of the new study. About 95% of fossil fuels end up in automobiles, and so, law makers in the U.S. and around the world have regulated industries and cars to try and bring down those emissions. Those efforts have largely paid off. "A new car's almost a 100 times cleaner than an older car," says Brian McDonald, an atmospheric scientist at NOAA and the lead author on the new study. As a result, emissions from cars and trucks have plummeted across the country. "We can also see that in air quality measurements over a five decade period in the Los Angeles basin." 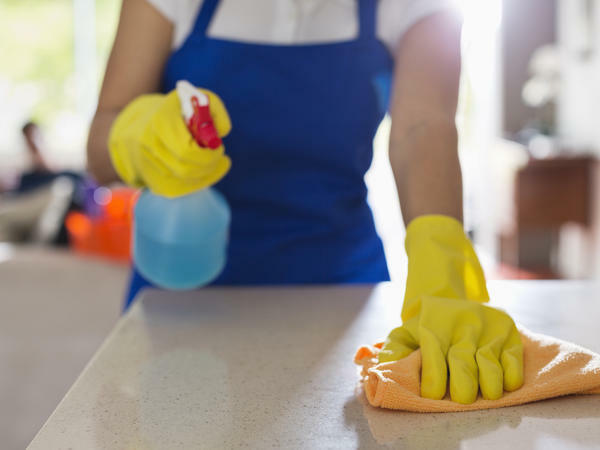 However, in recent years household products have become a bigger source of air pollution, the team reports in today's issue of the journal, Science. The scientists began looking into this back in 2010, when the California Air Resources Board, NOAA and the California Energy Commission began extensive monitoring and measurement of air pollutants. That's when the scientists noticed that many air pollutants in the Los Angeles area were at levels much higher than what they would see if those pollutants came only from tailpipes. Take for example, ethanol, which makes up 10 percent of gasoline consumed. "We expected a significant amount of ethanol to be in the air that comes from just the use of gasoline from cars," says McDonald. But levels of ethanol were five times higher than what's emitted by tailpipes, he says. "That tipped us off to look at where are other sources of ethanol and what could they be in, and it turns out that ethanol is pretty common in personal care products and cleaning products." They made similar observations for isopropanol, or rubbing alcohol, and acetone, the main ingredient in nail polish remover, and a whole range of other chemicals in everyday products like soaps, wall paint, printer ink, perfumes and pesticides. "The origin of a lot of consumer and chemical products is originally from oil and natural gas," says McDonald. About five percent of oil and natural gas is used as feed stock for these commodities. To get a handle on all of the consumer products that could be emitting VOCs into the atmosphere, he created an inventory of all of the different chemical products manufactured and sold in the U.S. Then, he and his colleagues looked into what chemicals were in each of those products, and which of those chemicals would emit VOCs and how much. "That gives us a fingerprint on the emissions sources," says McDonald. When he and his colleagues put together the emissions from all of the different products used in the U.S. it amounted to almost half of all VOC emissions in Los Angeles. The findings are important and surprising, says Albert Presto, an atmospheric scientist at Carnegie Mellon University. "We're all conditioned to think about traffic and industry as the big drivers for air pollution and pollutants. And this study says, 'wait a minute, a lot of it is really stuff we're using inside our homes.'" These household sources have emerged as big polluters because cars have become cleaner, says Jonathan Levy, an environmental health expert at Boston University. "As traffic sources decline, other sources become more and more important over time." Air pollution remains one of the top causes for the burden of disease worldwide. "Ozone can do things like worsen asthma, trigger asthma attacks," says Janice Nolen, the assistant vice president of national policy at the American Lung Association. "It can also kill people, it can shorten lives." Exposure to particulate matter has similar deleterious health effects. So, the new study has implications for further reducing air pollution, says Presto, especially for cities that are struggling with meeting air pollution standards, like Los Angeles, which has one of the highest levels of ozone in the country. "You can only make cars so clean," he says. "Maybe the way to get ozone below federal limits is to reduce emissions from indoors." The state of California is already on the task, says Nolen. The California Air Resources Board already regulates some consumer products like deodorants and hair sprays for VOC emissions. The regulations have pushed companies to make these products "cleaner, less emitting," she says. The new study suggest we need "some national measures to help reduce emissions" from these everyday sources, says Nolen.